Unless you've been living under a rock, you'd know that AHAs (alpha-hydroxy acids: glycolic acid, lactic acid, malic acid, citric acid, and tartaric acid) and BHAs (beta-hydroxy acids: salicylic acid) are all the rage in skincare right now. Known for their potent exfoliative effects, AHAs diminish wrinkles and lighten discolorations while BHAs combat acne/blackheads/whiteheads and reduce inflammation. Formulated at an optimal pH of 3.8, the T.L.C. Framboos Glycolic Night Serum contains a 12% AHA blend consisting of glycolic, tartaric, lactic, and citric acid. It also contains 1% salicylic acid, in addition to the hydrating raspberry extract and a soothing combination of horse chestnut, bearberry, and white tea. The serum is designed for night time use and it comes in a cute plastic bottle paired with a nifty twist-to-reveal pump dispenser. The serum has a lightweight gel texture which spreads easily on the skin. The formulation absorbs within seconds and it's not stingy or irritating. The finish is a little tacky to the touch but that's not an issue given that the serum needs to be paired with a cream or lotion to ensure proper hydration. 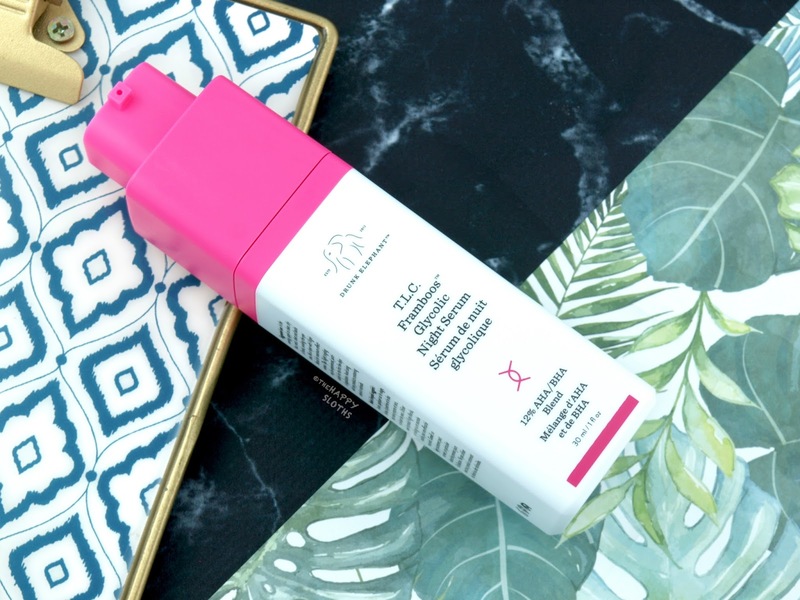 I use a lot of AHAs and BHAs in my skincare routine so I'm quite experienced in this area and I find the serum to be very impressive in that it combines both ingredients in a lightweight gel that's free of silicones, fragrances, and drying alcohols. I've been using this for a couple of weeks now and I've not experienced any drying or peeling. So I'd say the formulation is pretty gentle. With that said, I've definitely developed a tolerance over the years so for someone who is new to AHAs/BHAs, there may be an adjustment period. Given that this has a precise pump dispenser, though, it's easy to control how much to use. So you can start with one pump and adjust accordingly. Since using this, my skin has improved in texture and radiance and I've noticed fewer breakouts as well. 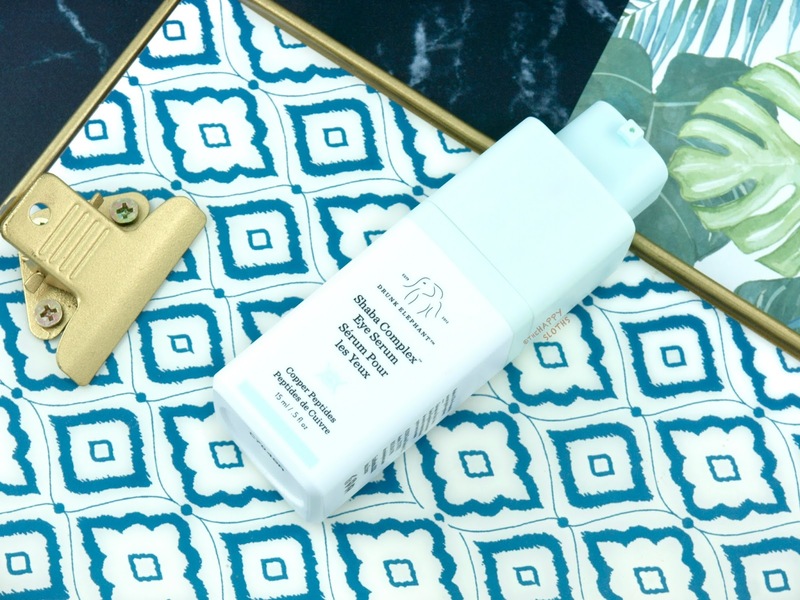 AHAs and BHAs have been shown to be greatly beneficial to skin of all ages so whether you are in your teens or 40s, this serum can be a great addition to your daily skincare routine. Ingredients: Water, Glycolic Acid, Salicylic Acid, Butylene Glycol, Citric Acid, Lactic Acid, Aloe Barbadensis Leaf Juice, Aesculus Hippocastanum (Horse Chestnut) Seed Extract, Arctostaphylos Uva-Ursi Leaf Extract, Camellia Sinensis (Green Tea) Leaf Extract, Rubus Idaeus (Raspberry) Fruit Extract, Buddleja Davidii Meristem Cell Culture, Saccharomyces Cerevisiae (Yeast) Extract, Vitis Vinifera (Grape) Juice Extract, Opuntia Ficus-Indica (Cactus) Extract, Sclerocarya Birrea (Marula) Seed Oil, Allantoin, Sodium Hyaluronate Crosspolymer, Propanediol, Xanthan Gum, Galactoarabinan, Hydroxyethylcellulose, Disodium EDTA, Hexylene Glycol, Caprylyl Glycol, Ethylhexylglycerin, Sodium Hydroxide (pH adjustor), Phenoxyethanol. 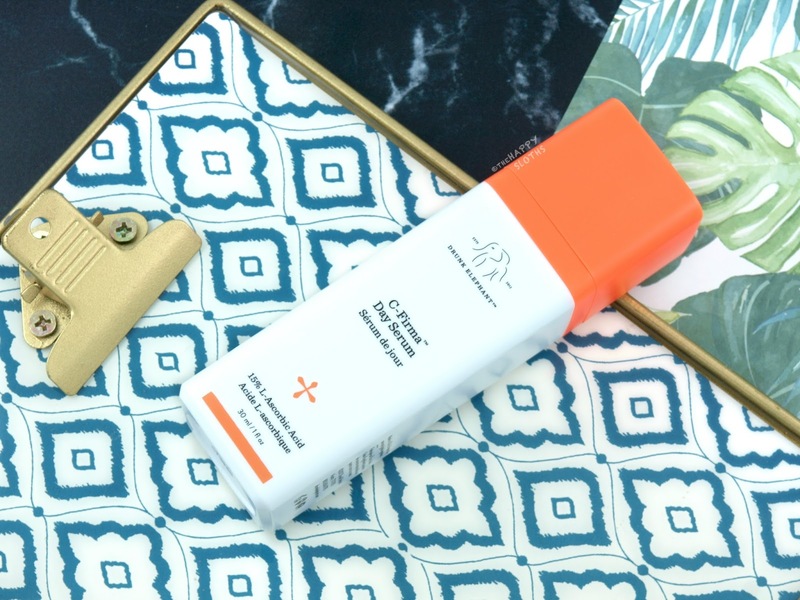 A potent antioxidant serum formulated with 15% vitamin C and ferulic acid plus 1% vitamin E, the C-Firma Day Serum features a is a lightweight, water-based serum that's free of silicones, fragrances, and drying alcohols. With a runny and orange appearance, the serum is also made with chronocyclin (boost glow), pumpkin ferment and pomegranate extract (enzymatically dissolve dead skin cells), and sodium hyaluronate crosspolymer (promotes hydration). 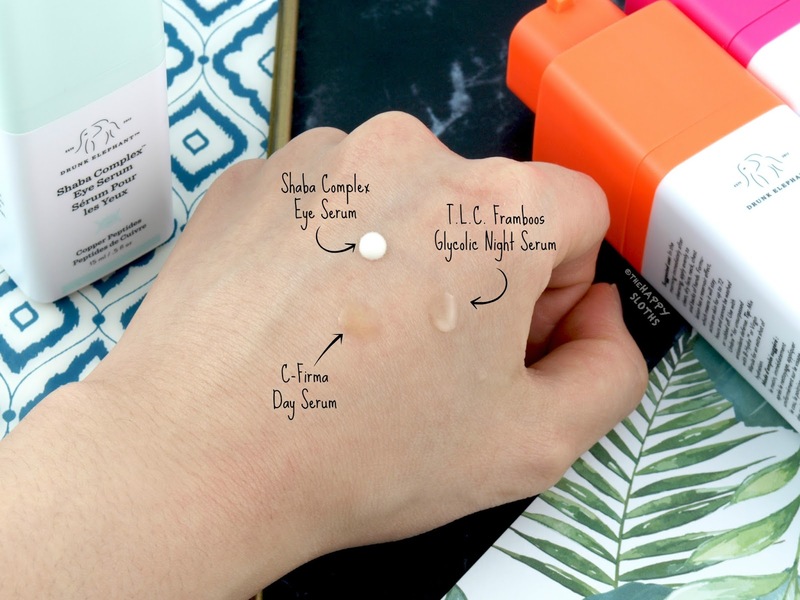 A very interesting tidbit about the C-Firma Day Serum is that it features a reservoir effect. When applied onto the skin, the serum stays active for up to 72 hours and will not come off with washing or rubbing, thereby prolonging the product's efficacy. The product spreads very easily on the skin and feels breathable and lightweight. There's a slightly tacky finish but that's not an issue after a day cream is applied on top. With regular use, I've noticed increased radiance and plumpness. With my recent discovery of Kiehl's Powerful-Strength Line-Reducing Concentrate Vitamin C Serum (reviewed here), I've really enjoyed incorporating vitamin C into my daily skincare routine. However, C-Firma is undoubtly a superior product in comparison. Just about as potent in Vitamin C but made with a ton of other skin-loving ingredients, C-Firma is silicone-free (the Kiehl's one isn't) so it is much better for layering under moisturizer and makeup. If you want something that gives the skin a radiant, firming boost, definitely check this out! Ingredients: Water, Ethoxydiglycol, Ascorbic Acid, Glycerin, Laureth-23, Lactobacillus/Pumpkin Ferment Extract, Sclerocarya Birrea Seed Oil, Ferulic Acid, Sodium Hyaluronate, Chondrus Crispus Extract, Camellia Sinensis Leaf Extract, Lactobacillus/Punica Granatum Fruit Ferment Extract, Glycyrrhiza Glabra (Licorice) Root Extract, Vitis Vinifera (Grape) Juice Extract, Phyllanthus Emblica Fruit Extract, Hydrolyzed Wheat Protein, Tocopherol, Caprylhydroxamic Acid, Acetyl Glucosamine, Hydrolyzed Quinoa, Glutamylamidoethyl Imidazole, Dipotassium Glycyrrhizate, Tetrahydrodiferuloylmethane, Tetrahydrodemethoxydiferuloylmethane, Tetrahydrobisdemethoxydiferuloylmethane, Sodium Hyaluronate Crosspolymer, Glycine, Sucrose, Maltodextrin, Propanediol, Caprylyl Glycol, Sodium Hydroxide, Xanthan gum, Hydroxyethyl Acrylate/Sodium Acryloyldimethyl Taurate Copolymer, Isohexadecane, Polysorbate 60. Designed to diminish fine lines and boost firmness, the Shaba Complex Eye Serum is a formulated with a concentrated dose of copper peptide and black tea ferment, which work together to increase skin elasticity and radiance. The serum also contains antioxidant-rich edelweiss stem cells and skin-smoothing niacinamide (vitamin B3), thereby targetting wrinkles and fine lines around the eyes. Additionally, the serum contains sea buckthorn oil, which helps nourish the skin and reduce redness. In terms of texture, the Shaba Complex is thin and lightly creamy. It spreads very easily around the eye area but does take a few minutes to fully absorb. The finish is lightweight, non-greasy, and lightly hydrating. 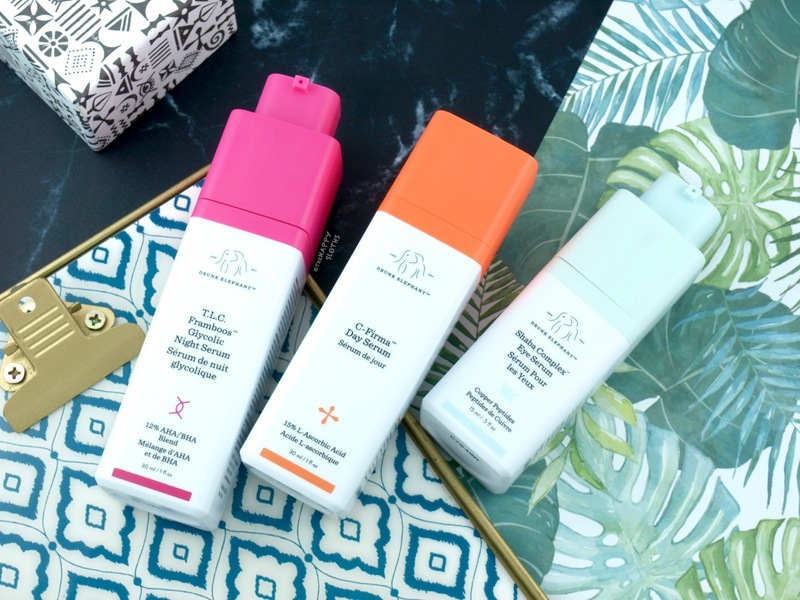 Drunk Elephant doesn't explicitly state whether or not this serum needs to be paired with an eye cream but I personally don't find the formulation hydrating enough. If used without an eye cream at night, the skin around my eyes feels a little undernourished in the morning. It's not dry per se, but I personally would prefer a heavier cream on top. However, if you want some light hydration during the daytime, the Shaba Complex alone works perfectly well. Overall, I think this is a great add-on for those with aging skin looking for a little extra TLC. The formulation is packed with quality ingredients and free of silicone, fragrances, and drying alcohols. So if you want a little boost to your regular eye cream, I would definitely recommend giving this a try. With that said, if you are like me and don't want to add an extra step to your eye care, this alone may not provide enough hydration for nighttime wear. Have you tried anything from Drunk Elephant? Do you have any other recommendations for a combined AHA/BHA product? Share with me in the comments below!